In only 18 years Cometic Gasket, Inc. has grown into a leading worldwide supplier of custom and short-run gaskets for the motorsports industry. What originally began in 1989, in a 800 square foot office with limited production facilities, has transformed to a 70,000 square foot state-of-the-art manufacturing centre, located in the heart of the Midwest in Ohio. 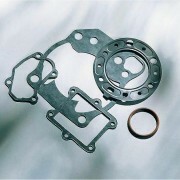 Today, Cometic produces and ships more than 5,000 types of gaskets to customers worldwide. 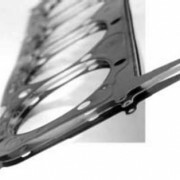 Since its inception, Cometic Gasket has been committed to producing superior quality gaskets for the hi-performance motorsports market. We believe that customer satisfaction comes from close relationships with customers and attention to detail; these remain as our guiding principles to this day. 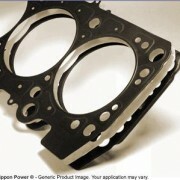 To ensure superior performance across a wide variety of engine types and sizes, we manufacture our gaskets from a wide range of materials. Whether the situation calls for the latest in advanced technology like our MLS- (Multi-Layer Steel) or MLX gasket, or a synthetic blend such as our Aramid Fiber, Cometic has the answer. Click here to take a look at the Cometic product catalogue.